How to Capture Screen on Windows 10? Home / How To / How to Capture Screen on Windows 10? Windows 10 has quite a lot of different ways to capture screen or to make a screenshot. These features are very useful when you want to explain something to your friends, create a manual, file bug or just capture an epic moment in the game. Capturing a screenshot in Windows 10 is quite a simple process, yet not everyone knows which shortcuts or apps to use. 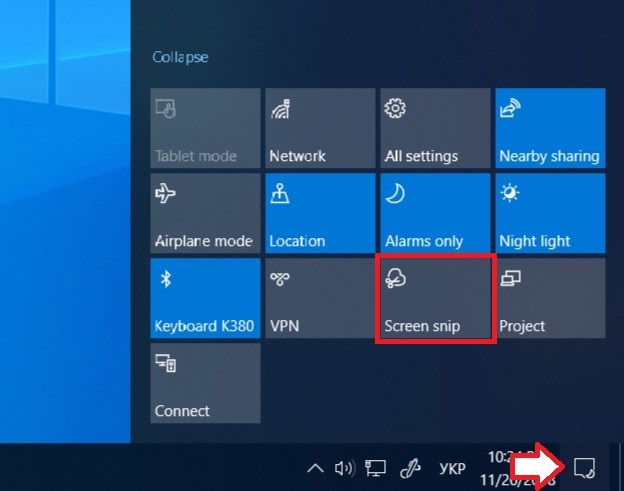 In this article we will show you a couple of methods on how to make a screenshot or record screen on Windows 10 PC. How to Make a Screenshot on Windows 10? The most basic and simple method. All you have to do is just hit a PrintScreen button on your keyboard. It can be also labeled as PrntSc or PrintSc. After this button is pressed Windows creates a screenshot of the entire screen and saves it in the clipboard. If you have two or more screens, you will get one big screenshot of all monitors stitched together. Notice that Windows does not save the screenshot after using PrintScreen button. It only puts it inside the clipboard, so you have to paste it inside Paint, Word or whatever text or image editor you prefer and later save it as a file or inside the document. You should also take to consideration that not every keyboard has this button. Some OEMs consider it unnecessary and do not include it at all. On a laptop, PrintScreen may work only in conjunction with the Fn key. The PrintScreen button may look really basic, but it also has some additional features. If you press Win + PrintScreen, Windows will save the screenshot as a separate file, ready to be edited, copied, pasted or deleted if you wish. After you hit Win + PrintScreen your monitor will blink for a second. That is the sign that Windows successfully saved your screenshot. Default Windows screenshots folder is in the C:\Users\Your User Name\Pictures\Screenshots and default file extension is PNG. You can change that in any image editor which is capable of saving images in different formats. Okay, you got a screenshot of the entire screen, but what if you want to capture not the entire screen but specific separate window? Yes, you can crop the entire screen image but that is not quite convenient. Don’t give up on PrintScreen yet. Just hit Alt + PrintScreen and Windows will make a screenshot of the active window and put it in the clipboard. There is nothing wrong with using PrintScreen to create a screenshot on Windows 10, but if you need some additional flexibility or features, you may consider switching to Snip and Sketch app. 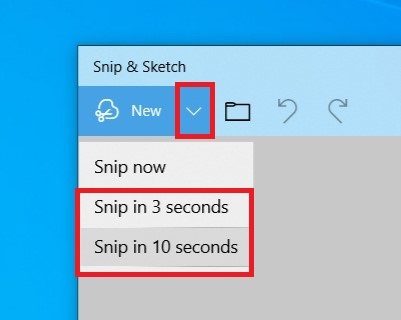 For your information: Snip and Sketch is available only on Windows 10 October 2018 Update and newer. If you are still on Windows 10 April 2018 Update or older Windows version, skip to the next part of this article or simply update your PC. Press Ctrl + Shift + S. Alternatively, click Notification center icon at the bottom right corner and click Screen Snip action. This shortcut launches snipping experience you can use to capture screen on Windows 10. It supports capturing any area of the screen, separate windows, free-form screenshots of entire screen in one click. Very fast, useful and convenient tool. At the top of the screen, you will see a small panel with a couple of buttons. They allow you to switch between beforementioned modes. Additionally, Snip and Sketch allows you to do something that PrintScreen will never be able to do. You can delay snipping by a couple of seconds. It is very useful if you need to capture something that disappears after you click or push keys on the keyboard. Open Start and find Snip and Sketch from the app list. Click on the arrow next to the New button and select Snip in 3 seconds or Snip in 10 seconds. Snip and Sketch puts your screenshots inside the notification center. Click on the notification and Snip and Sketch windows will open. You can edit your screen captures within here, annotate using ink, copy or save them as a separate file. Quite old, yet still capable and feature-packed. There is virtually everything you need in order to capture screen on Windows 10. Snip and Sketch is basically a modern version of the Snipping Tool, so there is no need to dive deep into the features of this nifty utility. The only thing you need to know about it is the fact that you can launch it only from the app list. There are simply no keyboard shortcuts for the Snipping Tool. Open Snipping Tool, select Mode (free form, rectangular form, windows or entire screen), select delay (if you need one) and press New. Boom! Your screenshot is ready. Snipping Tool automatically copies it to the clipboard and allows you to save it as a regular file. Things are getting a little bit different with screen recording on Windows 10. The thing is that Windows has built-in screenshotting tools, but still lacks decent screen recording. Still, you can record video of your PC’s screen using a built-in game bar. For your information: screen recording on Windows 10 using Game Bar may be not available on some cheap or old PCs with integrated video or severely outdated graphics. Also, screen recording with using the Game Bar has some serious limitation. For example, you can record only one app and only one window. You can’t switch between windows and keep recording. Moreover, you can’t record the default Windows interface like desktop, File Explorer, Settings, etc., because it was initially designed to record games only. Maybe in the future Microsoft will improve built-in Windows 10 screen recorder, but for now we have to stick to what we have or simply use third-party alternatives (there are quite a lot of them). READ ALSO: How to Delete Windows.old Folder? Open the app you want to record and press Win + G. Game bar will appear on the screen. Press button with the circle. Alternatively, press Win + Alt + R and confirm that this app is a “game”. After you do that, Windows will start filming everything that happens inside your app. After you are done, hit the stop button in the top right corner. All your recordings are stored inside the C:\Users\Username\Videos\Captures. ShareX. From our point of view, this is the best tool to screen capture your PC. It is completely free and available both on the developer website as a standalone classic app and on Microsoft Store. This allows you to use it not only on Windows 10, but also on older versions, like Windows 7. ShareX has a lot of advanced features. There is a lot to tell about this app and its features, but we will focus only on the basics. We recommend you to spend some time digging into the settings and features of ShareX in order to learn how to use them and set up an application for your convenience. Install ShareX from developer website or from Microsoft Store and launch it. Click Capture and select what type of screen capture you want to perform. 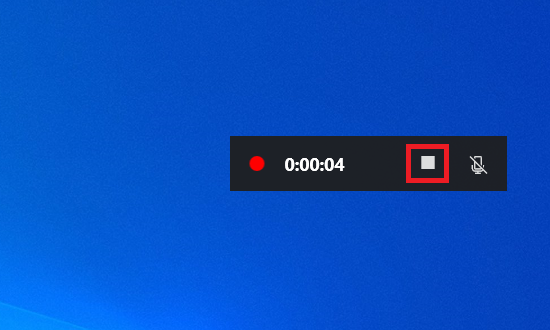 If you want to record your Windows screen on video, select Screen Recording. There is a way to change video format, FPS, audio codec and bitrate from the Task Settings section. Moreover, ShareX allows screen recording on Windows 10 in GIF format. Select Capture > Screen Recording (GIF). There is a way to capture the entire screen, separate windows or some random area on your screen. To create a screenshot, select Capture > Region. Just like with a screen recording, select the area, windows or entire screen to capture. What makes ShareX special is the option to set up custom shortcuts for a different task. You can set up your own shortcuts to initiate screen recording, make a screenshot of the current windows, entire screen, etc. Just click Hotkey Settings and set up your own shortcuts that fit your preferences. After that, you will be able to screenshot and record everything like a boss. How to Convert Dynamic Disk to Basic? How to increase RAM using ReadyBoost USB flash drive in Windows 10?